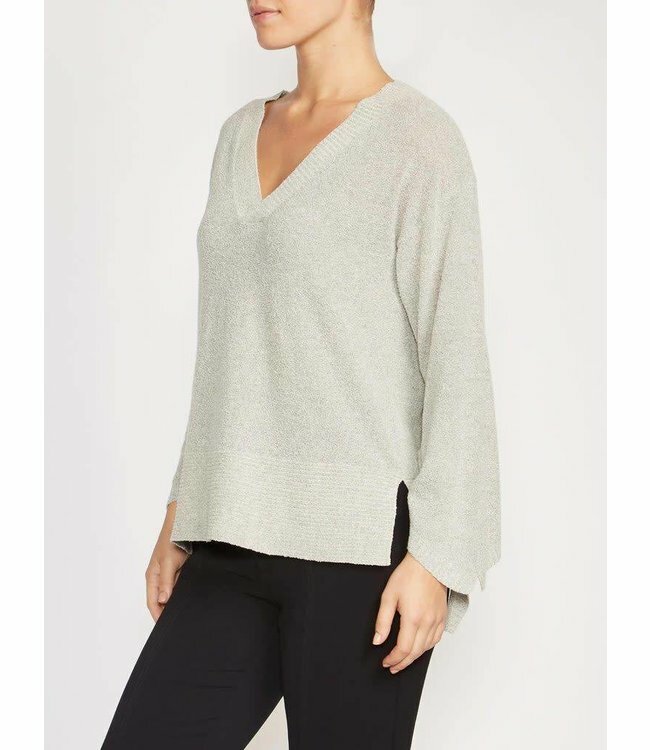 Brochu Walker Alett Tie Pullover - Refinery Clothing Co. The Alett Tie Pullover is made in Italian Yarn. It features a V-neckline and long sleeves with self-ties cuffs, enhancing the romantic air and feel of classic feminine style.